Every tech startup founder knows that their greatest asset is their intellectual property (IP), which amounts to nothing less than the legal representation of their flash of genius. But knowing that your IP needs to be protected and knowing how to do that are two very different things. HBO's Silicon Valley show would have had no storyline had it not been for the founder of Pied Piper's epic intellectual property (IP) blunders. The industry is rife with patent litigation, and the bigger a startup gets, the more likely it is that they'll face a million-dollar lawsuit. It's complicated enough among the co-founders, who need to make sure they have documents in place that assign patent rights to the company so that anyone who acrimoniously walks away doesn't hold an ax over the startup's future. But that's not the only time when patent rights must be documented in advance; clear lines must also be drawn when early-stage startups are collaborating with mature companies. Here's how to avoid being a Silicon Valley plot line and some guidance on how you can protect your startup. This is often a difficult conversation for early startups to have, particularly with large corporations. The language and style of management of a large company can be very intimidating for a startup. And for a large company, the startup's lack of experience in understanding the fine print of a collaboration arrangement can hamper the partnership deal. 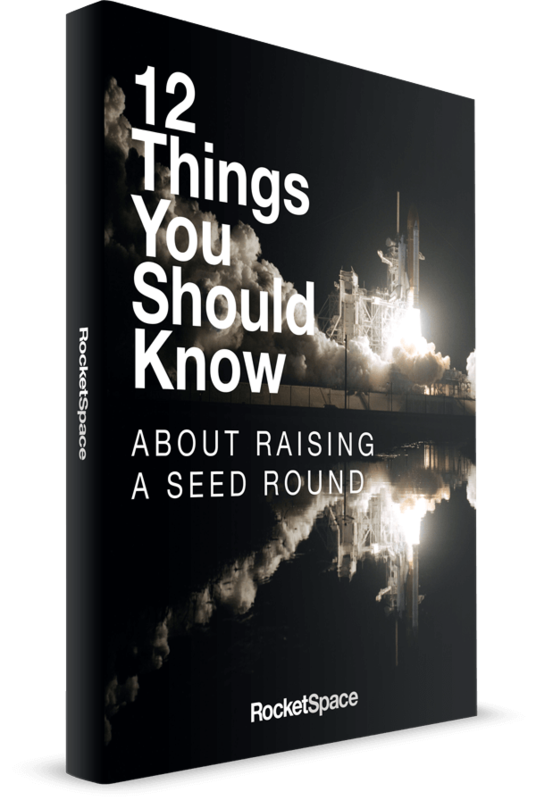 Startups need to enter into any investment, mentorship, accelerator, partnership or joint venture with their eyes wide open — and at least a basic knowledge of the types of IP deals that can be brokered in a collaboration. At a large corporation, the executives in charge of innovation need to be able to have these conversations with entrepreneurs as well, rather than kicking them straight over to the lawyers. Governmental IP departments and research councils offer guides to IP collaboration models, including the European IPR Helpdesk and the World Intellectual Property Organization (WIPO), which list various types of contracts that can be used either in industry partnerships or among research institutions. 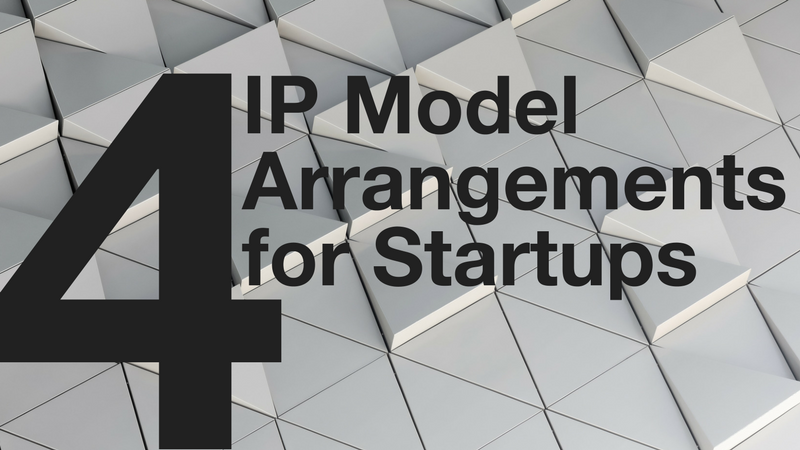 But for startups and enterprises, these models align into four major types of IP arrangement. The most common IP collaboration contract is a patent license, which is a standalone contract that can cover IP use, trade secrets or even the use of copyright and trademarks. The license is a consent by the owner of the IP to allow the use of that IP by the other party in exchange for money or another value. The other party can then make, use, sell or import technology based on the IP. However, these arrangements have typically been very narrow and specific, giving the licensee no access to technological expertise or additional knowledge. They are also difficult to extend. And, as many firms have discovered, this type of contract can be difficult to enforce across geographical jurisdictions (although IP protection has been strengthened in countries like China in the last few years) and they are extremely expensive to contest in court. To expand upon traditional IP licenses, tech firms have started to use technology licensing. In this model, the licensee gains access not only to a piece of technology (e.g., hardware, software or a process ), but also gains access to the designs and instructions necessary to operate that technology. Both sides agree on the terms and conditions of the arrangement, so it can be as broad or as narrow as the parties want. However, it will usually include the IP rights, a patent license and a know-how contract. Startups considering this type of contract have to be sure they know what they're doing. Under a know-how contract, they need to be able to provide all the support the technology needs, including troubleshooting, manuals and usage guides, and may even be required to train the company's sales and support staff on the technology. The contract can also go further, and include franchising, consultancy arrangements or the acquisition of capital equipment. In this arrangement, the early-stage startup and the corporation agree to work on a new project together. Both parties have to first agree on how to share background IP rights — that is, rights on any IP developed prior to the collaboration. Then they must agree on how to share the IP rights generated as part of the collaboration, often referred to as foreground IP. They may choose to allocate a license on background IP for internal use only, so that technologies can be shared in support of product development but the only shared commercialization and associated revenue is from the new product. Confidentiality agreements are also a feature of these deals. Obviously, it can be difficult to tell just what a research team will come up with during a collaboration, so these contracts often include an agreement to negotiate in good faith the terms of the contract for the foreground IP at a later date. In other words, the company and startup will have terms and conditions that have to be met during the collaborative development of a new process or product. Once that new product or process is developed, they will need to draw up a new contract to decide how to allocate the IP rights. Startups need to be aware of competition law in the jurisdiction the contract is taking place in, to ensure the deal is legally sound. Both parties will also need to agree on the level of disclosure allowed to any sub-contractors working with them. A related type of contract is an R&D contract. In this case, the corporation is more or less hiring the startup to develop a product or process and retaining all rights to it. This is a great way for corporations to outsource innovation and can help startups to build capital for other projects. A development collaboration agreement is a type of joint venture, but one that is very narrow in scope, as it is just for one particular project. In contrast, a joint venture (JV) covers longer-term partnerships that are broader in scope and not limited in time, although the contract type is very similar. Corporations will often propose joint ventures to startups as a means of expanding into new geographic areas or new product areas, or as a strategic move into a parallel sector. Again, both parties are bringing their background IP into the mix, with the expectation that the JV will produce new foreground IP as well. Startups need to consider how they want IP rights to be assigned — both at the start of the JV and throughout the partnership. They also need to consider how they want IP rights to be divvied up if the venture should come to an end and whether the JV is a collaboration or results in a spin-off company. It's a good idea to have an outline of the exit plan right at the beginning. It may seem like a difficult conversation to have at the negotiating table, but it's crucial to have an idea of how the JV will unwind, both in friendly and acrimonious circumstances. Intellectual property is a complex issue that is undergoing a lot of change in the wake of the digital revolution. Striking the right IP deal is a crucial part of any collaboration, and startups that are prepared to talk about patents will have a stronger position at the bargaining table.